For the Scottish backing band, see Bilbo Baggins (band). Bilbo Baggins is the title character and protagonist of J. R. R. Tolkien's 1937 novel The Hobbit, as well as a supporting character in The Lord of the Rings. In Tolkien's narrative conceit, in which all the writings of Middle-earth are translations from the fictitious volume of The Red Book of Westmarch, Bilbo is the author of The Hobbit and translator of various "works from the elvish" (as mentioned in the end of The Return of the King). In The Hobbit, Bilbo Baggins, a hobbit in comfortable middle age, was hired as a "burglar" –despite his initial objections– by the wizard Gandalf and 13 Dwarves led by their king, Thorin Oakenshield. The Dwarves were on a quest to reclaim the Lonely Mountain and its treasures from the dragon Smaug. The adventure took Bilbo and his companions through the wilderness, to the elf haven of Rivendell, across the Misty Mountains, through the black forest of Mirkwood, to Lake-town in the middle of Long Lake, and eventually to the Mountain itself. There, after Smaug was killed and the Mountain was reclaimed, the Battle of Five Armies took place. In that battle, a host of Elves, Men, and Dwarves--with the help of Eagles and Beorn the shapeshifter--defeated a host of Goblins and Warg. At the end of the story, Bilbo returned to his home in the Shire to find that several of his relatives--believing him to be dead--were trying to claim his home and possessions. During his journey, Bilbo encountered other fantastic creatures, including Trolls, Elves, giant spiders, Beorn (a man who could change into a bear), Goblins, Eagles, Warg, and a murderous creature named Gollum. Underground, near Gollum's lair under the Misty Mountains, Bilbo accidentally found a magic ring of invisibility that he used to escape from Gollum. By the end of the journey, Bilbo had become wiser and more confident, having saved the day in many precarious situations. Bilbo's journey has been compared to a pilgrimage of grace. The Hobbit can be characterized as a "Christian bildungsroman which equates progress to wisdom gained in the form of a rite of passage". He rescued the Dwarves from giant spiders with the magic ring and a short Elven-sword that he had acquired. He used the magic ring to sneak around in dangerous places, and he used his wits to smuggle the 13 Dwarves out of the Wood-elves' prison. When tensions arose over ownership of the treasures beneath the Lonely Mountain, Bilbo used the Arkenstone, a stolen heirloom jewel, as leverage in an unsuccessful attempt to negotiate a compromise between the Dwarves, the Wood-elves, and the Men of Lake-town. In so doing, Bilbo strained his relationship with Thorin; however, the two were reconciled at Thorin's deathbed following the Battle of the Five Armies. In addition to becoming wealthy from his share of the Dwarves' treasure, Bilbo found that he had traded respectability for experience and wisdom. At the end of the book, Gandalf proclaimed that Bilbo was no longer the Hobbit that he had been. The Fellowship of the Ring, the first volume of The Lord of the Rings, begins with Bilbo's "eleventy-first" (111th) birthday, 60 years after the beginning of The Hobbit. The main character of the novel is Frodo Baggins, Bilbo's cousin,[nb 1] who celebrates his 33rd birthday and legally comes of age on the same day. In T.A. 2989 (S.R. 1389), Bilbo, a lifelong bachelor, adopted Frodo, the orphaned son of his first cousin Primula Brandybuck and his second cousin Drogo Baggins, and made him his heir. Though Frodo was actually "his first and second cousin once removed either way", the two regarded each other as uncle and nephew. All this time Bilbo had kept his magic ring, with no idea of its significance, using it mostly to hide from his obnoxious cousins, the Sackville-Bagginses, when they came to visit. Gandalf's investigations revealed it to be the One Ring forged by the Dark Lord Sauron. The Ring had prolonged Bilbo's life beyond the normal hobbit span, and at 111 he still looked 50. While the Ring did not initially corrupt him as it had its previous owners, it was beginning to affect him; over the years, it had begun to prey on his mind when out of his sight, and he lost sleep and felt "thin, sort of stretched … like butter that has been scraped over too much bread". On the night of his and Frodo's birthday, Bilbo threw himself a party and invited all of the Shire. He signed his home, Bag End, and estate over to Frodo. He then gave a farewell address to his neighbours, at the end of which he put on the Ring and vanished from sight. As Bilbo prepared finally to leave the house, he reacted with panic and suspicion when Gandalf tried to persuade him to leave the Ring with Frodo. Bilbo refused to give up the Ring, referring to it as his "precious" – just as Gollum had. Gandalf lost his temper with his old friend and talked some sense into him. Bilbo admitted he would have liked to be rid of the Ring, and he left it behind, becoming the first person to do so voluntarily. He left the Shire that night, and was never seen in Hobbiton again. His earlier adventure, his eccentric habits as a hobbit, and his sudden disappearance led to the enduring figure of "Mad Baggins" in hobbit folklore, who disappeared with a flash and a bang and returned with gold and jewels. Freed of the Ring's power over his senses, Bilbo travelled first to Rivendell, and then on to visit the dwarves of the Lonely Mountain. After he returned to Rivendell he spent much of the next 17 years living a pleasant life of retirement: eating, sleeping, writing poetry, and working on his memoirs, There and Back Again, known as The Hobbit. He became a scholar of Elven lore, leaving behind the Translations from the Elvish, which forms the basis of what is known to us as The Silmarillion. When Frodo and his friends Samwise Gamgee, Meriadoc Brandybuck and Peregrin Took stopped in Rivendell on their quest to destroy the Ring, Bilbo was still alive but now visibly aged, the years having caught up with him after he surrendered the Ring. Upon seeing the Ring again, he suddenly tried to take it from Frodo; he returned to his senses when a terrified Frodo backed away, and he broke down in tears, apologizing for bringing the burden of the Ring onto Frodo. According to Appendix C of The Lord of the Rings, Bilbo was born to Bungo Baggins and Belladonna Took in T.A. 2890, or S.R. 1290. 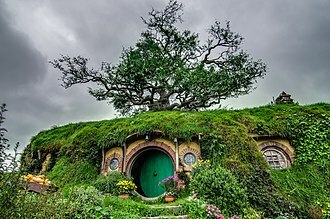 The Lord of the Rings gives the date of Bilbo's birthday as 22 September, but the actual date in the Shire calendar was Halimath 22; Tolkien tells us in Appendix D that he "used our modern names" for the months "to avoid confusion, while the seasonal implications of our names are more or less the same", so that Halimath is translated as September, but that "the Shire dates were actually in advance of ours by some ten days, and our New Year's Day corresponded more or less to the Shire January 9". The Bagginses of Bag End were one of the oldest, wealthiest, and most respectable Hobbit families in Hobbiton until the year 2941 (SR 1341), when Bilbo inexplicably disappeared on his adventure and was thought dead. "All that is gold does not glitter"
"The Man in the Moon Stayed Up Too Late"
"The Road Goes Ever On"
Tolkien's posthumously published poem "Bilbo's Last Song", illustrated by Pauline Baynes, describes Bilbo's contemplation of his forthcoming voyage to the Undying Lands. The illustrations evoke his last ride in the company of Elrond from Rivendell to the Grey Havens, as described in The Lord of the Rings. In the 1955–1956 BBC Radio serialisation of The Lord of the Rings, Bilbo was played by Felix Felton. In the 1968 BBC Radio serialisation of The Hobbit, Bilbo was played by Paul Daneman. Nicol Williamson portrayed Bilbo with a light West Country accent in the 1974 performance released on Argo Records. In the 1977 Rankin/Bass animated version of The Hobbit, Bilbo was voiced by Orson Bean. Bean also voiced both the aged Bilbo and Frodo in the same company's 1980 adaptation of The Return of the King. In Ralph Bakshi's 1978 animated version of The Lord of the Rings, Bilbo was voiced by Norman Bird. Billy Barty was the model for Bilbo, as well as Frodo and Sam, in the live-action recordings Bakshi used for rotoscoping. In the BBC's 1981 radio serialisation of The Lord of the Rings, Bilbo is played by John Le Mesurier. In the 1993 television miniseries Hobitit by Finnish broadcaster Yle, Bilbo is portrayed by Martti Suosalo. Throughout the 2003 video game the players control Bilbo, voiced by Michael Beatie. The game follows the plot of the book, but adds the elements of platform gameplay and various side-objectives along the main quests. In The Lord of the Rings Online (2007) Bilbo resides in Rivendell, mostly playing riddle games with the Elf Lindir in the Hall of Fire. The game also includes multiple outlanding[clarification needed] stories about Bilbo's adventures and his ultimate fate from[clarification needed] various Hobbits in the Shire. In Peter Jackson's films The Fellowship of the Ring (2001) and The Return of the King (2003) Bilbo is played by Ian Holm, who had played Frodo in the BBC radio series 20 years earlier. The movies omit the 17-year gap between Bilbo's 111th birthday and Frodo's departure from the Shire, as a result Bilbo mentions in Rivendell that he was unable to revisit the Lonely Mountain before his retirement. In Peter Jackson's The Hobbit film series, a prequel to The Lord of the Rings, the young Bilbo is portrayed by Martin Freeman while Ian Holm reprises his role as an older Bilbo in An Unexpected Journey (2012) and The Battle of the Five Armies (2014). The International Astronomical Union names all colles (small hills) on Saturn's moon Titan after characters in Tolkien's work. In 2012, they named a hilly area "Bilbo Colles" after Bilbo Baggins. ^ Although Frodo referred to Bilbo as his "uncle", they were in fact first and second cousins, once removed either way (his paternal great-great-uncle's son's son and his maternal great-aunt's son). ^ a b Pearce, Joseph (2012). Bilbo's Journey: Discovering the Hidden Meaning of the Hobbit. Charlotte, NC: Saint Benedict Press. ISBN 978-1618900586. ^ Tolkien, J.R.R. "Prologue, Of the Ordering of the Shire". The Lord of the Rings. ^ The Lord of the Rings, Appendix D.
^ White, James (22 October 2010). "Martin Freeman Confirmed As Bilbo!". Empire. Retrieved 28 November 2010. ^ "Categories for Naming Features on Planets and Satellites". Gazetteer of Planetary Nomenclature. International Astronomical Union. Retrieved 29 December 2012. ^ "Bilbo Colles". Gazetteer of Planetary Nomenclature. International Astronomical Union. Retrieved 14 November 2012. For an alternate, fuller, version of Bilbo's family tree see Rodovid Engine. The Hobbit, or There and Back Again is a childrens fantasy novel by English author J. R. R. Tolkien. It was published on 21 September 1937 to wide acclaim, being nominated for the Carnegie Medal. The book remains popular and is recognized as a classic in childrens literature. The Hobbit is set in a time between the Dawn of Færie and the Dominion of Men, and follows the quest of home-loving hobbit Bilbo Baggins to win a share of the treasure guarded by Smaug the dragon. Bilbos journey takes him from light-hearted, rural surroundings into more sinister territory, the story is told in the form of an episodic quest, and most chapters introduce a specific creature or type of creature of Tolkiens geography. Bilbo gains a new level of maturity and wisdom by accepting the disreputable, fey, the story reaches its climax in the Battle of the Five Armies, where many of the characters and creatures from earlier chapters re-emerge to engage in conflict. Personal growth and forms of heroism are central themes of the story and these themes have led critics to view Tolkiens own experiences during World War I as instrumental in shaping the story. The authors scholarly knowledge of Germanic philology and interest in fairy tales are often noted as influences, the publisher was encouraged by the books critical and financial success and, requested a sequel. As Tolkiens work progressed on the successor The Lord of the Rings and these few but significant changes were integrated into the second edition. Further editions followed with minor emendations, including those reflecting Tolkiens changing concept of the world into which Bilbo stumbled, the work has never been out of print. Its ongoing legacy encompasses many adaptations for stage, radio, board games, several of these adaptations have received critical recognition on their own merits. Bilbo Baggins, the titular protagonist, is a respectable, reserved hobbit, during his adventure, Bilbo often refers to the contents of his larder at home and wishes he had more food. Until he finds a ring, he is more baggage than help. Gandalf, an itinerant wizard, introduces Bilbo to a company of thirteen dwarves, during the journey the wizard disappears on side errands dimly hinted at, only to appear again at key moments in the story. Sauron /ˈsaʊrɒn/ is the title character and main antagonist of J. R. R. Tolkiens The Lord of the Rings. In the same work, he is identified as the necromancer, in Tolkiens The Silmarillion, he is described as the chief lieutenant of the first Dark Lord, Morgoth. The being known as Sauron originated as an immortal spirit, in his origin, Sauron therefore perceived the Creator directly. As Tolkien noted, Sauron could not, of course, be a sincere atheist, though one of the minor spirits created before the world, he knew Eru, according to his measure. In the terminology of Tolkiens invented language of Quenya, these spirits were called Ainur. Those who entered the world were called Valar, especially the most powerful ones. The lesser beings who entered the world, of whom Sauron was one, were called Maiar, in Tolkiens letters, the author noted that Sauron was of course a divine person. Tolkien noted that he was of a far higher order than the Maiar who came to Middle-earth as the Wizards Gandalf and Saruman. As created by Eru, the Ainur were all good and uncorrupt, as Elrond stated in The Lord of the Rings, rebellion originated with the Vala Melkor. According to a story meant as a parable of events beyond Elvish comprehension, Eru let his spirit-children perform a great Music, the Music of the Ainur, developing a theme revealed by Eru himself. For a while the choir made wondrous music, but Melkor tried to increase his own glory by weaving into his song thoughts. 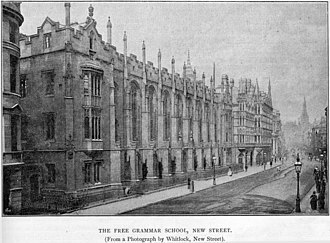 Straightway discord arose around him, and many that sang nigh him grew despondent, but some began to attune their music to his rather than to the thought which they had at first. However, Sauron was not a beginner of discord, and he knew more of the Music than did Melkor, whose mind had always been filled with his own plans. Apparently Sauron was not even one of the spirits that immediately began to attune their music to that of Melkor, the cosmic Music now represented the conflict between good and evil. Finally, Eru abruptly brought the Song of Creation to an end, to show the spirits, faithful or otherwise, what they had done, Eru gave independent being to the now-marred Music. In J. R. R. Tolkiens fantasy world of Middle-earth, the Misty Mountains are an epic mountain range, and one of the most important features of Middle-earths geography. The mountain-chain is less known by its alternative names. One of these is Hithaeglir, this was misspelled as Hithaiglin on the original Lord of the Rings map, other alternative names are the Mountains of Mist or the Towers of Mist. 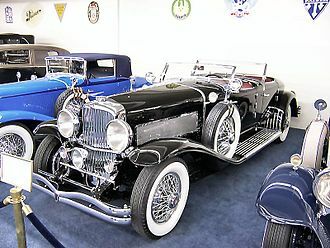 The range stretched continuously for some 900 miles across the continent of Middle-earth, the Misty Mountains first appeared in print in Tolkiens 1937 book, The Hobbit. A vision of the mountains is invoked in the first chapter and they are encountered directly in chapter 4. Further information about the mountains was added in Tolkiens subsequent publications, the northernmost section of the Misty Mountains ran from Carn Dûm to Mount Gundabad, and was known as the Mountains of Angmar. Mount Gundabad was where Durin awoke according to legend, though it was an abode of Orcs, Mount Gram, another Orc nest, was not far away. Mount Gundabad was on the side of the range, where it nearly joined the westernmost extremity of the Grey Mountains. The strategic gap was about 10 miles wide, the greatest Dwarf realm in Middle-earth, Khazad-dûm, was located at the midpoint of the Misty Mountains. The areas three massive peaks - the Mountains of Moria - were Caradhras and Fanuidhol, under Celebdil was the main part of Khazad-dûm, it included the Endless Stair, which the Dwarves built from the foundations of the mountain to its summit. The southernmost peak of the Misty Mountains was Methedras, from here the great range finally subsided into foothills, here the southernmost foothills of the Misty Mountains looked across the Gap of Rohan to the northernmost foothills of the White Mountains. The Misty Mountains had very few passes, the most important of these were the High Pass and the Redhorn Pass, there was a pass at the source of the Gladden. Some of Middle-earths notable valleys and dales lay in or close to the Misty Mountains, nearby lay Nan Curunír, where Isengard was built. In J. R. R. Tolkiens legendarium, Elves are one of the races that inhabit a fictional Earth, often called Middle-earth, and set in the remote past. They appear in The Hobbit and in The Lord of the Rings, Tolkien had been writing about Elves long before he published The Hobbit. The modern English word elf derives from the Old English word ælf, Tolkien would make it clear in a letter that his Elves differ from those of the better known lore, referring to Scandinavian mythology. By 1915 when Tolkien was writing his first elven poems, the elf and gnome had many divergent. One of the last of the Victorian Fairy-paintings, The Piper of Dreams by Estella Canziani, according to Marjorie Burns, Tolkien eventually chose the term elf over fairy, but still retained some doubts. I hear the tiny horns Of enchanted leprechauns And the padded feet of many gnomes a-coming, as a philologist, Tolkiens interest in languages led him to invent several languages of his own as a pastime. In considering the nature of who might speak these languages, and what stories they might tell, Some of the stories Tolkien wrote as elven history have been seen to be directly influenced by Celtic mythology. For example, Flight of The Noldoli is based on the Tuatha Dé Danann and Lebor Gabála Érenn, john Garth sees that with the underground enslavement of the Noldoli to Melkor, Tolkien was essentially rewriting Irish myth regarding the Tuatha Dé Danann into a Christian eschatology. The name Inwe, given by Tolkien to the eldest of the elves and his clan is similar to the found in Norse mythology as that of the god Ingwi-Freyr. Terry Gunnell claims that the relationship between beautiful ships and the Elves is reminiscent of the god Njörðr and the god Freyrs ship Skíðblaðnir and he retains the usage of the French derived term fairy for the same creatures. Tolkien wrote of them, They are made by man in his own image and likeness and they are immortal, and their will is directly effective for the achievement of imagination and desire. In The Book of Lost Tales Tolkien includes both the more serious type of elves such as Fëanor and Turgon alongside the frivolous, Jacobean type of elves such as the Solosimpi. Alongside the idea of the greater Elves, Tolkien developed the idea of children visiting Valinor, Elves would visit children at night and comfort them if they had been chided or were upset. This theme, linking elves with childrens dreams and nocturnal travelling was largely abandoned in Tolkiens writing, I do know Celtic things, and feel for them a certain distaste, largely for their fundamental unreason. They have bright colour, but are like a broken stained glass window reassembled without design and they are in fact mad as your reader says — but I dont believe I am. Terry Gunner notes that the titles of the Germanic gods Freyr and Freyja are given to Celeborn, according to Tom Shippey, the theme of diminishment from semi-divine Elf to diminutive Fairy resurfaces in The Lord of the Rings in the dialogue of Galadriel. Yet if you succeed, our power is diminished, and Lothlórien will fade, and we must depart into the West, or dwindle to a rustic folk of dell and cave, slowly to forget and to be forgotten. Gandalf /ˈɡændɑːlf/ is a fictional character and one of the protagonists in J. R. R. Tolkiens novels The Hobbit and The Lord of the Rings. He is a wizard, member of the Istari order, as well as leader of the Fellowship of the Ring, in The Lord of the Rings, he is initially known as Gandalf the Grey, but returns from death as Gandalf the White. Tolkien discusses Gandalf in his essay on the Istari, which appears in the work Unfinished Tales. Merry he could be, and kindly to the young and simple, yet quick at times to sharp speech and the rebuking of folly, but he was not proud, and sought neither power nor praise. Mostly he journeyed tirelessly on foot, leaning on a staff, as one of the Maiar, Gandalf would have participated in the Music of the Ainur at the creation of the world. However he does not attain any prominence until the Valar settle in Valinor, in Valinor, Gandalf was known as Olórin. As recounted in the Valaquenta in The Silmarillion, he was one of the Maiar of Valinor, specifically, of the people of the Vala Manwë, and was said to be the wisest of the Maiar. He was associated with two other Valar, Irmo, in whose gardens he lived, and Nienna, the patron of mercy. When the Valar decided to send the order of the Wizards to Middle-earth in order to counsel and assist all those who opposed Sauron, Olórin was proposed by Manwë. Olórin initially begged to be excused as he feared Sauron and lacked the strength to face him, as one of the Maiar, Gandalf was not a mortal Man but an angelic being who had taken human form. 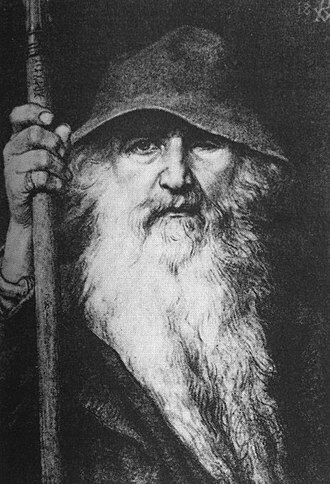 As one of those spirits, Olórin was in service to the Creator, along with the other Maiar who entered into the world as the five Wizards, he took on the specific form of an aged old man as a sign of his humility. Gandalf the Grey was the last of the Istari landing in the Havens of Mithlond. He seemed the oldest and least in stature of them, but Círdan the Shipwright felt that he had the highest inner greatness on their first meeting in the Havens, and gave him Narya, the chief Wizard, learned of the gift and resented it. 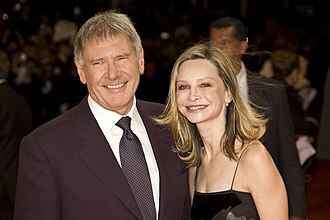 Gandalf hid the ring well, and it was not widely known until he left with the other ring-bearers at the end of the Third Age that he, Gandalfs relationship with Saruman, the head of their Order, was strained. In literature, a conceit is an extended metaphor with a complex logic that governs a poetic passage or entire poem. By juxtaposing and manipulating images and ideas in surprising ways, extended conceits in English are part of the poetic idiom of Mannerism, during the late sixteenth and early seventeenth century. In English literature the term is associated with the 17th century metaphysical poets. The metaphysical conceit differs from an analogy in the sense that it does not have a clear-cut relationship between the things being compared. An example of the latter occurs in John Donnes A Valediction, Forbidding Mourning, the metaphysical conceit is often imaginative, exploring specific parts of an experience. John Donnes The Flea is a poem seemingly about fleas in a bed, when Sir Philip Sidney begins a sonnet with the conventional idiomatic expression My true-love hath my heart and I have his. He takes the metaphor literally and teases out a number of possibilities in the exchange of hearts. The result is a fully formed conceit, the Petrarchan conceit is a form of love poetry wherein a mans love interest is referred to in hyperbole. Middle-earth is the setting of much of J. R. R. Tolkiens legendarium. The term is equivalent to the term Midgard of Norse mythology, describing the human-inhabited world, Middle-earth is the north continent of Earth in an imaginary period of the Earths past, in the sense of a secondary or sub-creational reality. Its general position is reminiscent of Europe, with the environs of the Shire intended to be reminiscent of England, in ages, after Morgoths defeat and expulsion from Arda, his place was taken by his lieutenant Sauron. The Valar withdrew from involvement in the affairs of Middle-earth after the defeat of Morgoth. The most important wizards were Gandalf the Grey and Saruman the White, Gandalf remained true to his mission and proved crucial in the fight against Sauron. Saruman, became corrupted and sought to establish himself as a rival to Sauron for absolute power in Middle-earth, other races involved in the struggle against evil were Dwarves and most famously Hobbits. The early stages of the conflict are chronicled in The Silmarillion, while the stages of the struggle to defeat Sauron are told in The Hobbit. Conflict over the possession and control of precious or magical objects is a theme in the stories. The First Age is dominated by the doomed quest of the elf Fëanor, in ancient Germanic mythology, the world of Men is known by several names, such as Midgard, Middenheim and Middengeard. The term Middle-earth, referred to as middle-world, was therefore not invented by Tolkien. 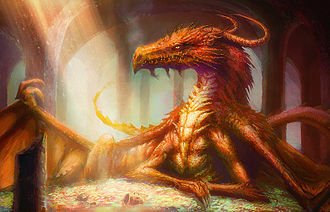 It is found throughout the Modern English period as a development of the Middle English word middel-erde, Tolkien first encountered the term middangeard in an Old English fragment he studied in 1914, Éala éarendel engla beorhtast / ofer middangeard monnum sended. Hail Earendel, brightest of angels / above the middle-earth sent unto men and this quote is from the second of the fragmentary remnants of the Crist poems by Cynewulf. The name Éarendel was the inspiration for Tolkiens mariner Eärendil, who set sail from the lands of Middle-earth to ask for aid from the angelic powers, Tolkiens earliest poem about Eärendil, from 1914, the same year he read the Crist poems, refers to the mid-worlds rim. 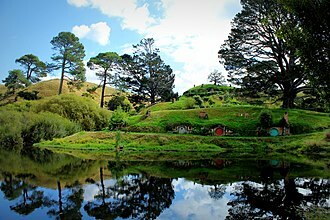 The Shire is a region of J. R. R. Tolkiens fictional Middle-earth, described in The Lord of the Rings and other works. The Shire refers to an area settled exclusively by Hobbits and largely removed from the goings-on in the rest of Middle-earth and it is located in the northwest of the continent, in the large region of Eriador and the Kingdom of Arnor. In the languages invented by Tolkien, its name in Westron was Sûza Shire or Sûzat The Shire, while its name in Sindarin was i Drann. According to Tolkien, the Shire measured 40 leagues from the Far Downs in the west to the Brandywine Bridge in the east, and 50 leagues from the northern moors to the marshes in the south. This is confirmed in an essay by Tolkien on translating The Lord of the Rings, the Shire was originally divided into four Farthings. The outlying lands of Buckland and the Westmarch were formally added after the War of the Ring, within the Farthings there are some smaller unofficial clan homelands, the Tooks nearly all live in or near Tuckborough in Tookland, for instance. A Hobbit surname often indicates where the came from, Samwise Gamgees last name derives from Gamwich. Buckland was named for the Oldbucks, the Shire is described as a small but beautiful and fruitful land, beloved by its inhabitants. The Hobbits had an agricultural system in the Shire but were not industrialised. 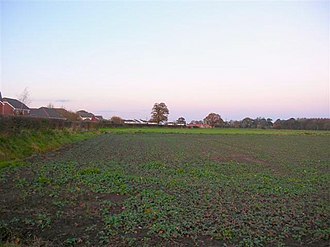 The landscape included small pockets of forest, various supplies were produced in the Shire, including cereals, fruit and pipe-weed. The original parts of the Shire were subdivided into four Farthings, the Three-Farthing Stone marked the tripoint where the borders of the Eastfarthing and Southfarthing of the Shire came together, by the East Road. It is claimed that the Three-Farthing Stone was inspired by the Four shire stone and these were formally given to the hobbits as the East and West Marches of the Shire by King Elessar after the War of the Ring, in S. R. Buckland had been settled by then, Gorhendad Oldbuck led hobbits from the East Farthing across the river in T. A.2340. There is no mention of settlement in the Westmarch until Elessars gift, Sam Gamgees daughter Elanor and her husband Fastred settled there, the Northfarthing was the least populous part of the Shire. Gollum is a fictional character from J. R. R. Tolkiens legendarium. He was introduced in the 1937 fantasy novel The Hobbit, and became an important supporting character in its sequel, Gollum was a Stoor Hobbit of the River-folk, who lived near the Gladden Fields. Originally known as Sméagol, he was corrupted by the One Ring, in Appendix F of The Lord of the Rings, the name Sméagol is said to be a translation of the actual Middle-earth name Trahald. The Ring, which Gollum referred to as my precious or precious, centuries of the Rings influence twisted Gollums body and mind, and, by the time of the novels, he had come to love and hate the Ring, just as he loved and hated himself. Throughout the story, Gollum was torn between his lust for the Ring and his desire to be free of it, Bilbo Baggins found the Ring and took it for his own, and Gollum afterwards pursued it for the rest of his life. Gollum finally seized the Ring from Frodo Baggins at the Cracks of Doom in Orodruin in Mordor, but he fell into the fires of the volcano, where both he and the Ring were destroyed. Gollum was first introduced in the Hobbit as a small, slimy creature who lived on an island in the centre of an underground lake at the roots of the Misty Mountains. He survived on fish, which he caught from his small boat. Over the years, his eyes adapted to the dark and became lamp-like, Bilbo Baggins stumbled upon Gollums lair, having found Gollums ring in the network of goblin tunnels leading down to the lake. At his wits end in the dark, Bilbo agreed to a game with Gollum on the chance of being shown the way out of the mountains. In the new version Gollum pretended that he would show Bilbo the way out if he lost the riddle-game, discovering the Ring missing, he suddenly realized the answer to Bilbos last riddle — What have I got in my pocket. Bilbo inadvertently discovered the Rings power of invisibility as he fled, Gollum was convinced that Bilbo knew the way out all along, and hoped to intercept him near the entrance, lest the goblins apprehend Bilbo and find the Ring. Bilbo at first thought to kill Gollum in order to escape, but was overcome with pity, as Bilbo escaped, Gollum cried out, Thief, Thief. Trolls are fictional characters in J. R. R. Tolkiens legendarium. They are portrayed as large humanoids of great strength and poor intellect, in The Hobbit, Bilbo Baggins and the Dwarf company encountered three trolls on their journey to Erebor. The trolls captured the Dwarves and prepared to eat them, but Bilbo managed to distract them until dawn and they spoke with thick Cockney accents, and even had English names, Tom and William. In The Lord of the Rings, Treebeard remarked that Trolls were made, in mockery of Ents, as Orcs were of Elves. Trolls origins are detailed in The Silmarillion. Morgoth, the evil Vala, created the first Trolls before the First Age of Middle-earth and they were strong and vicious but stupid creatures. Their major weakness was that they turned to stone in sunlight, during the wars of Beleriand, Gothmog had a bodyguard of trolls. As Morgoth had ordered to capture Húrin alive, the managed to wipe out the trolls before being captured by orcs. Many trolls died in the War of Wrath, but some survived and joined Sauron, in the Second Age and Third Age, trolls were among Saurons most dangerous warriors. They could speak, and used a form of Westron. Hill-trolls in the Coldfells north of Rivendell killed Arador, Chieftain of the Rangers of the North, at the Black Gate the Army of the West fought hill-trolls of Gorgoroth, which are generally taken to be Olog-hai. Cave Trolls attacked the Fellowship of the Ring in Moria, One is described as having dark greenish scales and black blood. Their hide was so thick that when Boromir struck one in the arm his sword was notched, Frodo Baggins was able to impale the toeless foot of the same troll with the enchanted dagger Sting. Mountain Trolls are mentioned once, wielding the great battering ram Grond in shattering the gates of Minas Tirith, snow Trolls are mentioned only in the story of Helm Hammerhand. When Helm went out clad in white during the Long Winter to stalk and slay his enemies, otherwise nothing is known of them. Olog-hai are described in Appendix F of Return of the King and they were strong, agile and cunning trolls created by Sauron, not unlike the Uruk-hai. Frodo Baggins is a fictional character in J. R. R. Tolkiens legendarium, and one of the main protagonists of The Lord of the Rings. Frodo is a hobbit of the Shire who inherits the One Ring from his cousin Bilbo Baggins and he is mentioned in Tolkiens posthumously published works, The Silmarillion and Unfinished Tales. Frodo did not appear until the draft of A Long-Expected Party. In the fourth draft, he was renamed Bingo Bolger-Baggins, son of Rollo Bolger, Tolkien did not change the name to Frodo until the third phase of writing, when much of the narrative, as far as the hobbits arrival in Rivendell, had already taken shape. Prior to this, the name Frodo had been used for the character who eventually became Peregrin Took, Frodo is introduced in The Fellowship of the Ring as the adoptive heir of Bilbo Baggins. At the age of 21 he was adopted by his cousin, Bilbo and he and Bilbo shared the same birthday, the 22nd of September. It was Bilbo who introduced the Elvish languages to Frodo and Meriadoc Brandybuck are first cousins once removed, since Frodo is first cousin to Meriadocs father, Saradoc Brandybuck. Their common ancestors are Gorbadoc Brandybuck and Mirabella Took Brandybuck, Frodo is moreover second and third cousin to Meriadocs mother, Esmeralda Took. Frodo is related to Peregrin Took, being his second, even Fredegar Bolger is second cousin once removed to Frodo. Frodo shares a relationship with his gardener Samwise Gamgee although they are not related. The Council of Elrond convened on 25th October T. A.3018 in Rivendell, the Fellowship of the Ring opens as Frodo came of age and Bilbo left the Shire for good on his one hundred and eleventh birthday. Frodo inherited Bag End and Bilbos ring, which were introduced in The Hobbit. Gandalf, at time, was not certain about the origin of the Ring, so he warned Frodo to avoid using it. Realizing that he was a danger to the Shire as long as he remained there with the Ring, Frodo decided to home and take the Ring to Rivendell, home of Elrond. He left the Shire with three companions, his gardener Samwise Gamgee and his cousins Meriadoc Brandybuck and Peregrin Took and they escaped just in time, for Saurons most powerful servants, the Nine Nazgûl, had entered the Shire as Black Riders, looking for Bilbo and the Ring. 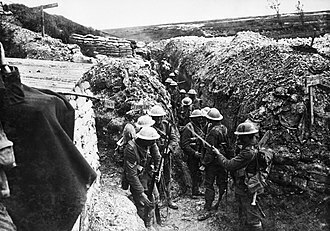 Men of the 1st Battalion, Lancashire Fusiliers in a communication trench near Beaumont Hamel, 1916. Photo by Ernest Brooks. 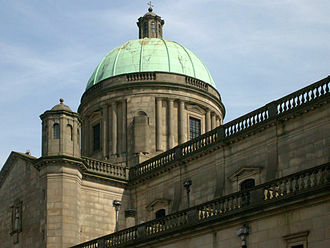 Mentioned at the beginning of The Lord of the Rings, the Ivy Bush is the closest public house to Birmingham Oratory which Tolkien attended while living near Edgbaston Reservoir. Perrott's Folly is nearby. 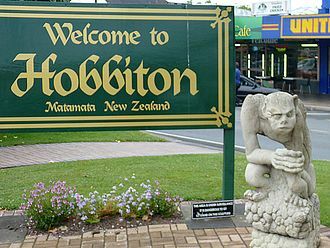 "Welcome to Hobbiton" sign in Matamata, New Zealand, where the film trilogy was shot. An Air New Zealand Boeing 777-300ER with "The Airline of Middle-earth" livery to promote the film The Hobbit: An Unexpected Journey, at London Heathrow Airport. Hobbit holes as they were filmed on a farm near Matamata, New Zealand. A cave-troll in The Fellowship of the Ring. One of the Olog-hai approaches Aragorn in The Return of the King. Elves as portrayed in the 1977 Rankin-Bass version of The Hobbit. The One Ring in Peter Jackson's films.